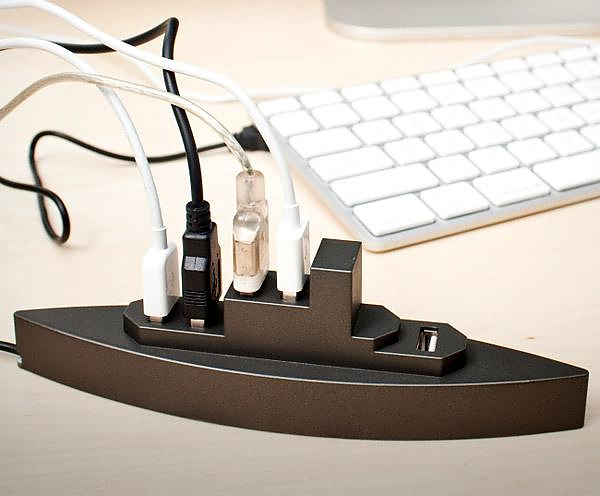 HomeBlogTechnologyKikkerland USB Boat 5 port USB Hub. 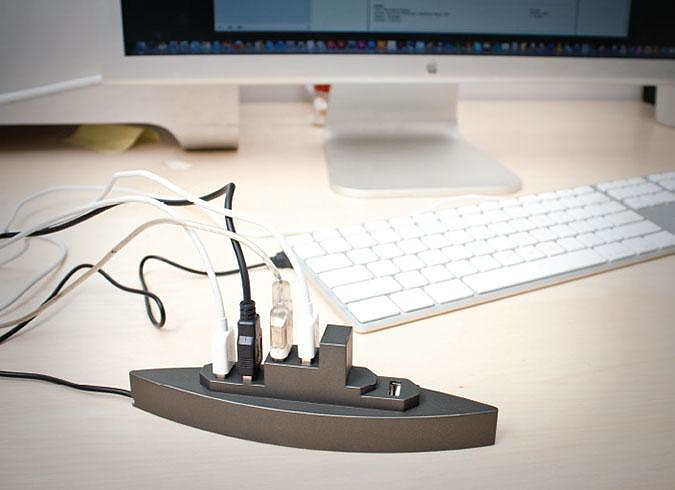 Kikkerland USB Boat 5 port USB Hub. Too many USB peripherals and not enough free ports? 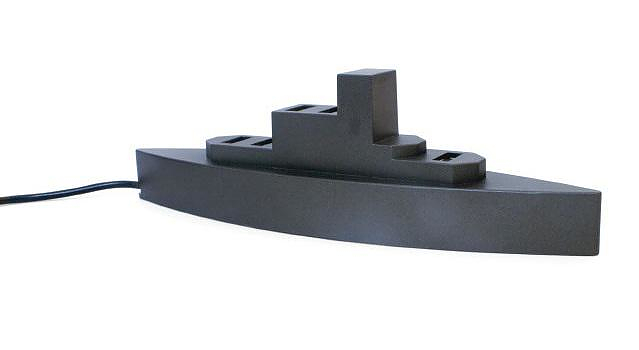 No problem, the Kikkerland USB Boat is a USB Hub shaped like a small battleship and it easily wins the battle of connectivity with its loaded deck equipped with 5 USB 2.0 ports. It was designed in 2003 by the duo of Jess Giffin & Jim TerMeer. 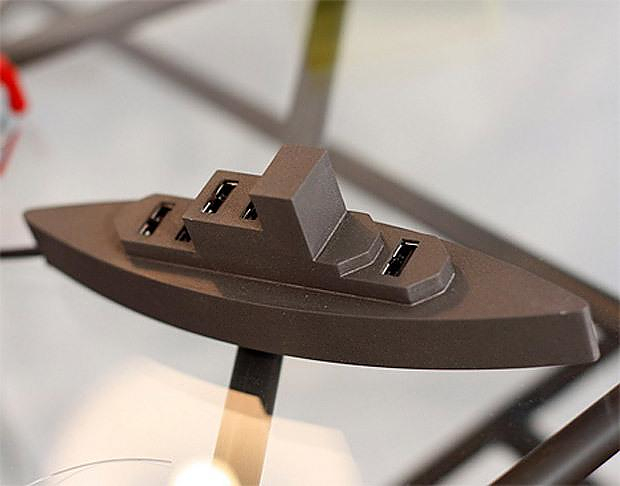 This stylish USB Hub which besides the extra ports that it offers, also tidies up the cables in a unique style. It has an internally mounted weight so it wont tip over while you are disconnecting cables. 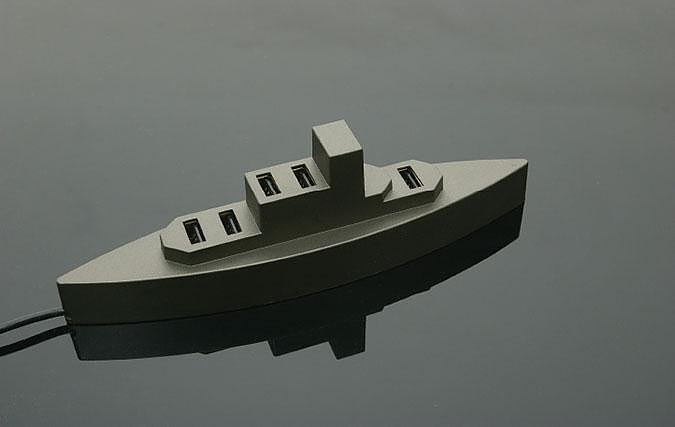 Personally it slightly reminds me the small plastic warships from the “Battleship” board game that I was playing when I was young. 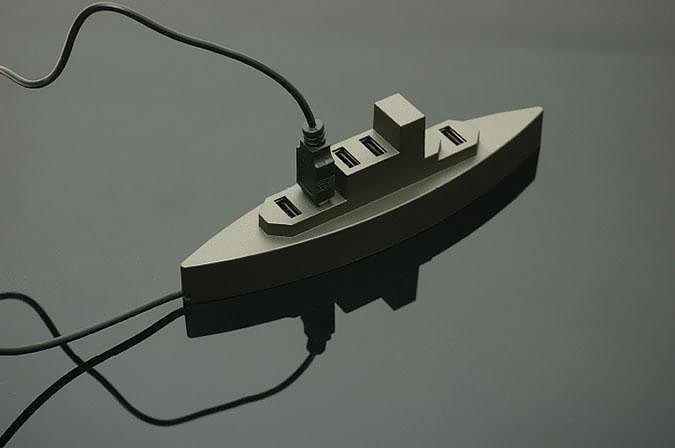 The USB Boat has a smart Design which is pleasingly different from the usual boring USB Hubs. At the same time, it features quality construction and combines good design with maximum usability. Peas USB Hub by LEXON. Kikkerland Thunderbolt Power Strip and USB Hub. Microsoft Arc Touch Mouse: The Ultimate Laptop Mouse.